Depending on where you live, you’ve probably already started experiencing the first few snowfalls of the season, which can only mean one thing: Winter is coming (that is, if it hasn’t already). Regardless of whether or not you’re in a place that experiences snowstorms on a regular basis, this type of weather requires us to think more practically when it comes to our wardrobe choices. For the safety of ourselves and everyone around us, it’s time we start planning our winter outfits with snow boots. Though you may already think that these chunky winter boots can only be, well, ugly, think again. With the right type of styling, these ensembles can be so cute, you’ll actually want to wear them. 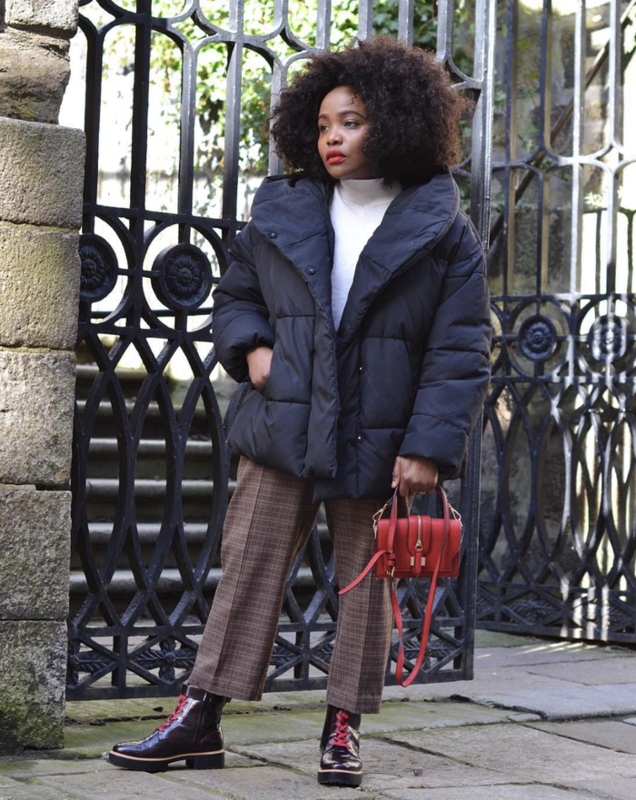 To illustrate our point, we’ve gathered our favorite looks from the coolest It girls who know a thing or two about dressing for the weather. Check them out below, and then shop them all to wear them through the next Snowmageddon. You can't go wrong pairing your boots with a warm puffer. You'll feel good knowing this jacket is made from recycled materials. Take your look to the slopes with a sleek ski suit and snow boots. You can never go wrong with a heavy-duty jacket and snow boots when you're facing a snowstorm. Shield your eyes from the bright sun with these. The metallic trim makes these so cool. Keep warm with a faux-fur coat and a pair of shearling-trimmed snow boots. You'll actually want to wear these during the winter. A pair of waterproof snow boots will always look good with jeans and a faux-fur coat. Brave a snowstorm in these. Dress up your snowstorm ensemble with a pair of fur-trimmed snow boots. You'll definitely be warm in this. If you're sporting a monochrome look, play with different textures, like patent pants and shearling boots. Snow boots don't have to be bulky. Heading to the office? A pair of plaid trousers will make your boots feel more polished during that commute. Wear these for any occasion. Dress up your rubber snow boots with a bright faux-fur coat to stand out this winter. Stand out in this faux-fur coat. Add on a pair of thick socks to make these warmer. A pair of neutral-hued boots will look good with a classic trench this winter. No one does snow boots quite like Moon Boot. If it's on the warmer side, style your boots with a warm down jacket with a cool leather one layered on top. You always need a leather jacket. Be sure to cozy up in these winter sweaters to stay warm this winter, too.